Character: We have put our whole experience, energy and passion in this wine. Concentrated by the birth of this Riserva (Riserva stands for high-class standards and a longer barrel and bottles maturation). The grapes of weakly growing French shoots. In the steel barrel fermented, stored a year in the small oaken barrel. Matured. Circularly. Pour yourselves out a glass. The colour: dark ruby. A smell of raspberries and strawberries, a grace of blackberries. A complicated and, nevertheless, harmonious body, severity and acid in the unison, hard and concentrated. A velvety, persistent departure. "Falstaff Magazin" has rated the wine "Brunnenhof Mazzon Pinot Nero - Blauburgunder Riserva Alto Adige - Sudtirol, Trentino-Alto Adige, Italy" the vintage 2013 on 06.07.2016 with 91 of 100 points. "Falstaff Magazin" has rated the wine "Brunnenhof Mazzon Pinot Nero - Blauburgunder Riserva Alto Adige - Sudtirol, Trentino-Alto Adige, Italy" the vintage 2012 on 23.06.2015 with 90 of 100 points. 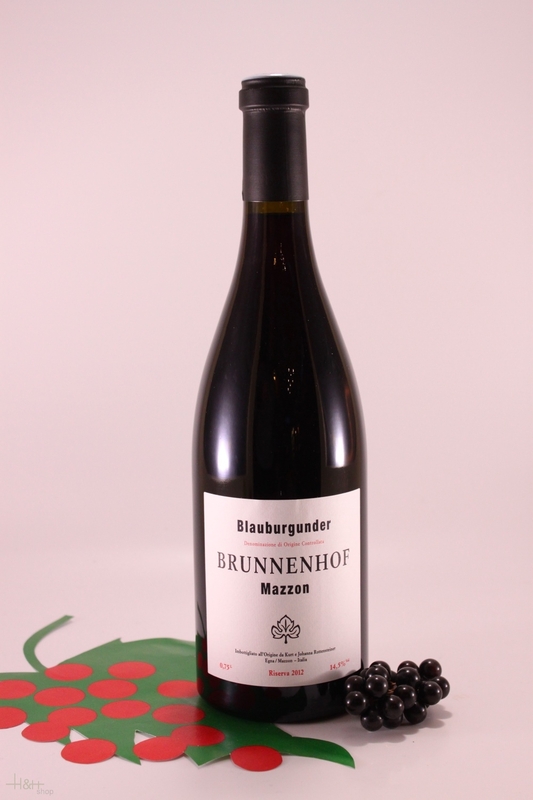 "Falstaff Magazin" has rated the wine "Brunnenhof Mazzon Pinot Nero - Blauburgunder Riserva Alto Adige - Sudtirol, Trentino-Alto Adige, Italy" the vintage 2011 on 24.06.2014 with 90 of 100 points. "Vinous Antonio Galloni" has rated the wine "Brunnenhof Mazzon Pinot Nero - Blauburgunder Riserva Alto Adige - Sudtirol, Trentino-Alto Adige, Italy" the vintage 2009 on 01.05.2013 with 89 of 100 points. 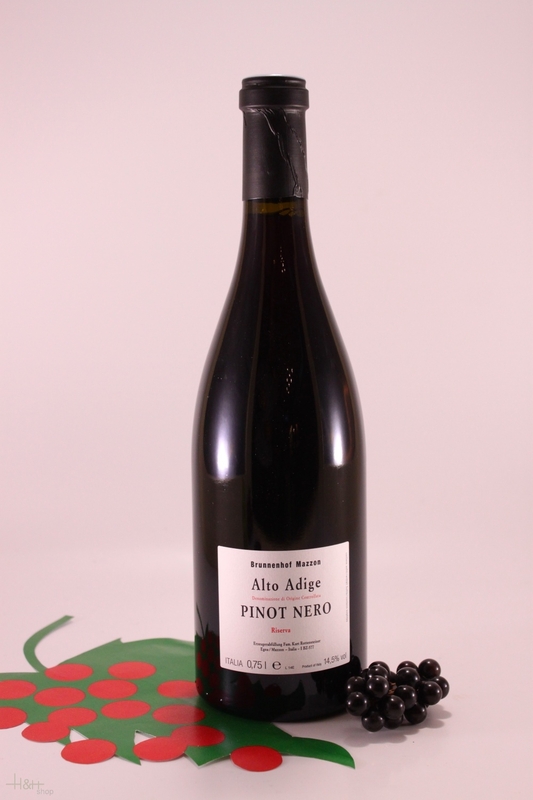 "Vinous Antonio Galloni" has rated the wine "Brunnenhof Mazzon Pinot Nero - Blauburgunder Riserva Alto Adige - Sudtirol, Trentino-Alto Adige, Italy" the vintage 2007 on 01.02.2011 with 93 of 100 points.